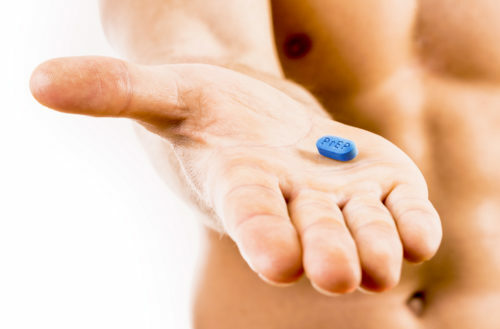 While pre-exposure prophylaxis, better known as PrEP, is a drug proven successful in the prevention of HIV transmission — up to 99%, in fact — the common wisdom is that PrEP doesn’t make a dent in other STIs. After all, it’s only approved to treat HIV. Some doctors have even dropped their patients for requesting PrEP. Others have said they’re less likely to prescribe it due to fears their patients will act more irresponsibly and get other STIs. But a new study suggests that PrEP is also responsible for a 40% drop in chlamydia and gonorrhea. The study was a joint effort between the Centers for Disease Control and the Rollins School of Public Health at Emory University. When PrEP use is combined with regular STI screenings, the rates of HIV and other STIs go down across the board. This holds true even with a significant reduction in condom use. While the study shows the importance of regular screenings, it also shows that the common wisdom of getting tested every three months doesn’t have a big impact in reducing STIs. The study suggests that getting tested every six months might be sufficient. Based on these findings, the CDC has started a new campaign aimed at health care providers. The campaign reinforces the recommended guidelines — including the importance of PrEP and regular testing. There’s also a support hotline for doctors with questions about PrEP (1-855-HIV-PREP). With this added information, doctors and patients can work together to reduce STIs.